I bring this all up because I recently received a question from a reader who is concerned about whether or not she and her husband will be able to contribute to their Roth IRAs in 2007. It seems that she and her husband may hit the income threshold, and so they are trying to decide if they should max their Roth right of the bat, or if they should wait until later in the year (possibly into early 2008) when they will have a better idea of whether or not they qualify for 2007 contributions. This really boils down to the treatment of “excess contributions.” The bottom line here is that you will owe a tax penalty if you don’t correct your excess contribution. In fact, if you fail to correct your excess contribution, you’re required to pay a penalty tax of 6% for each year that the problem remains uncorrected. (2) The distribution includes the amound of the excess contribution and the net income attributable to that contribution. In other words, you need to withdraw the contribution and the earnings. Taxes will still be due on the earnings — they’re earned income, after all — and these earnings will be subject to an early withdrawal penalty if you’re under 59 1/2 (unless an exception applies). (2) The transfer must include the contribution and any earnings. If you do these two things, your contribution will be treated as if it went into the traditional IRA in the first place. It may not be deductible, but at least it will grow tax-deferred. So there you have it… I’m no tax expert, but my read on the situation is that there’s not a lot of harm in maxing your Roth IRA early in the year and then adjusting it later if need be. You just need to be aware of how to fix it and make sure you do so before your taxes are due. Does anyone else have something that they’d care to add? My financial advisor had me contribute the maximum to my Roth IRA for four years. I just found out from my new CPA that I didn’t have enough earned income to qualify for these contributions. Now my advisor says it wasn’t his fault that he didn’t know I didn’t qualify. (I am not employed and my husband is self-employed with very little income from wages.) Is he right that it wasn’t his responsibility to informed me that there were qualifying factors to consider before contributing to Roths? Contact your financial company as soon as possible. They should be able to guide you through the process to get things corrected. Technically, the 2011 tax season isn’t over just yet. People who file an extension have until October 15th to send in their forms, so if you get things corrected by then you _should_ be OK.
You might want to go to a tax adviser like H%R Block or that one at Sears for peace-of-mind. I have a problem.. 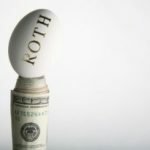 I made an incorrect Roth Ira contribution for tax year 2011 on April 13th 2012, when it was supposed to be for a traditional Ira for 2011… what can I do now to fix this? The 2011 tax season is already over…. I had removed the excessive contribution from Traditional IRA, and leave $ 5000 in the Roth IRA but now it gave me different reason of excessive contribution – “Contribution Exceeds Earned Income” . I did make more than $5,000 in 2011. Can anyone answer that? Is there anything to with my filing status of working in NY, but living in NJ? This really did not make sense. BTW, this probably doesn’t affect you, but I _could_ have avoided the penalties if I had waited one more year. If I hadn’t learned about my mistakes until THIS year (2012), my “distribution” wouldn’t have been penalized because I turn 59-1/2 this year. Stupid IRS. Vote Libertarian and help eliminate the IRS and these convoluted tax laws. OK, first you are off a year. I only had to withdraw my 2008 AND 2009 excesses (which is everything for me), there was no figuring of “earnings or loss” for those years. That was only for 2010 and 2011 contributions. Yes, I ended up paying a penalty on my earnings on my 2010 excesses. Since I don’t qualify to contribute ANYTHING to a Roth IRA now, I don’t know how those earning would affect your eligibility for contributing for 2010. You’ll have to consult an expert, or at least the IRS, about that. Actually, just rethought it out. What got me in trouble in the first place was that you can only contribute based on “EARNED” income — my retirement pension, AND ANY INTEREST OR DIVIDEND INCOME, doesn’t qualify. So the money you made on your excess contributions cannot be counted toward your eligibility to contribute to an IRA. I hope you’re not including interest and dividend monies when determining how much you can contribute. So, lets say you contributed $4000 in 2009 to a ROTH but only qualified to contribute $3000, so in April 2010 you fixed this and withdrew the $1000 excess contribution and earnings of $100 and then filed your taxes. In early 2011 you get a 1099-R related to this and have to include it in your 2010 tax filing HOWEVER you also have to go back and AMMEND your 2009 tax filing to report the extra $100 of income. 1) Do you have to pay the 6% penalty on that $100 of income? I’m pretty certain the answer is yes (in addition to paying taxes on that $100 – both Federal and State – don’t forget to fix you state after you fix your federal). 2) You now have an extra $100 of income in 2009 and you are now only allowed to contribute $2950 to your ROTH IRA (instead of the $3000 calculated earlier!) – what happens to this other $50?!?!?! Do you have to go back and withdraw it (but now it is way too late) as well? Along with any earnings that may have been made on it over the past year? And then do you have to do this all over again? This “cycle” is driving me crazy and in my case it is a $500+ issue and not a $50 issue as in the example above. It is stuff like this that keeps tax professionals employed as I am going to either have to spend tons of time trying to figure this out myself (and never really know if I did it correctly) or else fork out hundreds of dollars to have someone else fix this. I don’t know if the other option is any easier (recharactizing as a traditional IRA contribution) but I know for certain that taking the option to withdraw the excess is a pain in the rear so avoid it at all costs. For purposes of determining excess contributions, any contribution that is withdrawn on or before the due date (including extensions) for filing your tax return for the year is treated as an amount not contributed. This treatment only applies if any earnings on the contributions are also withdrawn. The earnings are considered earned and received in the year the excess contribution was made. If you qualify for reclassification, that’s definitely the best option. I didn’t qualify. As to the amount to withdraw, just the amount that’s over your limit. Now, here’s something about the NEXT tax year. I got my 1099-Rs from Fidelity and ran into a “problem” with my 2010 Roth IRA correction. I am once again using H&R Block, and their computer wouldn’t accept the code “P” that Fidelity had in block 7 of the form. “P” means the interest/loss is taxable in 2010. I made my correction, and got the interest, in 2011. BUT, Fidelity directed me to the IRS Instructions for 1099-R WHICH ADDED in the explanation block for Code “P” that interest is taxable IN THE YEAR THE _CONTRIBUTION_ WAS MADE. Since I made my 2010 contribution IN 2010, I now have to go back and modify my 2010 tax return to show the interest. Will I be penalized, too? Don’t know yet. I’m _assuming_ if you made your 2010 contribution IN 2011 (Jan-Apr 15) then you would pay the tax on the 2011 return, but I’m guessing about that. Good info. Tks everyone. My situation. 2011 Income: 197K Married filed jointly so I am over the limit. Reclassifcation sounds like the way to go. Question on what to withdraw – The full 1800 because I went over for the year OR the amount I had invested at the time my income hit the max? Interesting, I just noticed Kirby’s post was February 15th, but I just got the email notification today. BUT, your fund administrator should be able to help you out with this and all the forms necessary. Hi everyone, just found out that married filing separately means I get no Roth contribution…my 5K contribution for the year is easily traceable and now worth 4K. Anyone have any experience on how to deal with a capital loss as I withdraw the contribution? Actually Jane, after having checked around it unfortunately looks like what most others here stated is correct. There is no getting around this without withdrawing the funds (contribution plus dividends interest, & capital gains for prior years) as soon as possible. That’s the best way and probably the only way. Hopefully your bank/brokerage house and accountant will be able to assist you fully and properly in the tax calculations and start on those 5329s and amended return(s) ASAP. I am in a similar situation. Please… I would also greatly appreciate any advice on this matter. With me it was only for 2 or 3 calendar years. Would it just be worth it to wait and see if the IRS catches on and then just pay them the penalty out of regular funds, without withdrawing from the IRA (if permissible)? Just wanted to clarify, determining the “earnings” from my excessive contribution applied only to my 2010 and 2011 contributions. And you withdraw the excess amount PLUS the earnings, if any. If you lost money then you withdraw the total amount of the excess — you don’t get to claim a loss on that, only the profit. Typical Big Brother greed. You only withdraw the excess contributions for 2009 and earlier. You don’t have to determine any earnings on those dollars. I ended up going to H&R Block to have my taxes done. He filled out a worksheet with all my Roth IRA contributions all the way back to 2001 when I started. This, at least, ended up showing my excessive contribution for 2009 on form 5329 line 18. I did have to pay a 6% “tax” on that money, but no 10% penalty. For my 2010 excess contribution, he showed me one of his tax documents where the IRS says that if you remove the excessive dollars prior to the tax filing deadline, INCLUDING EXTENSIONS, then the contribution is treated as if it had never been made. So you don’t enter ANYTHING on form 5329 line 20. BUT, you (or your banker) must determine how much (if any) “earnings” you made from the excess contribution, and pay the tax on that in the year you received the money. So, for example, I corrected my 2010 contribution this year, and Fidelity determined my earnings. The excess doesn’t need to be reported on my 2010 tax forms, and next year I’ll show the “earnings” from that excess as income. So I’m fine now with my 2009, 2010 and 2011 excessive contributions. I’m just going to wait and see if the IRS contacts me about my 2008 contribution. I too want to know further how, when and if the IRS tracks this. I just found out (via watching Suzie Orman!) that I have been making excess contributions for the past 4 years- completely out of lack of knowledge!!! I did not earn enough to make these contributions. Therefore, they were not deducted from my earned income. I have never received any notification from the IRS indicating this error. Now what do I do?? I am under 59.5 and do not want to pay 10% withdrawal penalties, etc. When do they plan on penalizing me, or does it only happen on a random audit basis? Any insight would be helpful. I’m in the same boat as JD only maybe worse. I did not know making contributions as married filing separatly had a 10000 income limit. And the amounts shown on my 5329 for excess contributions are wrong for several years due to changing tax software (prior years weren’t imported) and some other reasons I haven’t quite figured out yet. I’m scared to death about what to do and how much this is going to cost us. Yeah, what do you do if you’ve discovered you made excess contributions in PRIOR years (not the current tax year.) Apparently, the IRS instructions do not address that directly and even the retirement representative at Fidelity is unsure. I was 70 in 12/08. I have been converting my tradional iras into roths for the past 5 years and paying income tax when I filed. Last year, I made 2 such transfers to my roth. and planned to pay taxes when I filed in 2010. However, because of the additional tax of the 2nd one, I wanted to change that one back from roth to traditional. If I do this before filing taxes this year (2010) will the tax still be due for the 1 I am recharacterizing back to traditional? What if you don’t have enough income to contribute to a Roth but earned a large fellowship? I contributed the 5000 max to my Roth but found out that the fellowship does not count as earned income. 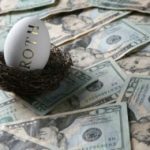 Can I recharacterize the Roth to a traditional IRA and then transfer the traditional IRA into my existing Roth account? I think I’m going to have to pull some amount out for my over contribution in 08. However, I do not have any earnings on these contributions as the market is getting slaughtered. Do I still have to pay the 10% penalty? Contribution information is reported on a form that comes after the tax deadline (by the end of May, I believe). The reason for this is that you have up until taxes are due to make contributions, so that information can’t be reported until afterwards. I think that it’s Form 5498, but I’m not 100% sure. I too am curious to know how the IRS knows if you have made excess contributions to a Roth IRA. Does the IRS have to audit you to catch this? Does the IRA custodian report your annual contributions to the IRS? Thank you. Just roll your Roth IRA to somewhere else, DON’T cash it in. Then let the new firm manage your Roth, or better yet, pick a great mutual fund and do it yourself (e.g. open a Roth IRA at Schwab or other online trading sites). I invested $2000 in an Roth IRA in 1998. Here we are in 2008 and my fund is worth $1800+/- or so. Now, I am 34, not 59 1/2. Can they give me a penalty for early withdrawal since they havent done very well investing for me. It’s a joke. I’m just finally learning all of this, but am confused how they can penalize me on my principal that i gave them a decade ago.. and the already took tons of fees out? how do i calculate the earnings of my excess contribution? my income is over the limit and i made a monthly contribution to my roth IRA. I had them stop it the moment i realized my income will go over, but i already put in $2250.00 by end of sept. 2007. i have the form for excess contribution but i’m a bit confused on how to go about withdrawing the excess contribution plus earnings. Please advise. I also have a 401k in which i’ve contributed the allowed amount. Thanks for this very informative and complete post! I found I was in this situation after getting a company bonus so I recharacterized to a traditional non-deductible IRA. Now I’m just not sure how to record this recharacterization properly in Quicken. Anyone have experience with this? tkduke: Probably, but you’ll need to contact your Roth IRA custodian to know for sure. If I made a Roth IRA contribution in 2007 and erroneously designated it as a 2006 Roth IRA contribution, can this be changed back to be designated as a 2007 IRA contribution? Thanks for the comment mike. Does anyone know how the IRS enforces this provision? For instance, what if you contributed your 4000 to your roth and then forgot that you went over the limit. Who catches you? Does the IRS have to audit you to catch this or will charlesschwab (or whoever else) tell the IRS how much you contributed? I’m facing this situation for the 2006 tax year – I contributed the full amount to a Roth IRA early but bonuses at the end of the year reduced my eligibility. 1.) Recharacterizing the contributions to a Traditional IRA. As stated in the original post, the excess contributions and any associated earnings are directly transferred to a Traditional IRA. Everything is subsequently treated as if you had originally made the contributions directly to the Traditional IRA in the first place. 2.) Withdrawing the excess contributions along with any associated earnings. If this is done before a certain date in the calendar following the tax year of the excess contributions, then the 6% penalty is waived. The excess contributions themselves are therefore not taxed or penalized. HOWEVER, the earnings will be treated by the IRS as a non-qualified distribution and are subject to a 10% penalty (in addition to normal income tax). This fact was confirmed both by an IRS representative and by a tax specialist. To summarize, then, the IRS penalizes you for making excess contributions and then withdrawing them to correct the problem – even if you make the correction in a timely manner. There’s simply no way to get around the 10% penalty (unless you meet one of the qualified distribution requirements), no matter how “aware” you are of the situation. This treatment is unfair, IMHO, and underscores the fact that there can be harm in contributing early if you’re on the bubble. If you end up overcontributing, then you’re forced to either recharacterize or take a 10% hit on any earnings before withdrawing them. Returning to the recharacterization option, remember that in 2010 Congress is set to eliminate the income limits for converting a Traditional IRA into a Roth IRA. This means that someone in this situation can recharacterize the excess contributions into a Traditional IRA for now, wait a few years, and then recovert the Traditional IRA into the Roth IRA in order to end up with the desired result: a Roth IRA without any Traditional IRA. It’s been both interesting and annoying trying to figure all this out. Hopefully this information can help anyone else in a similar predicament! This happened to me for 2005 tax year. I followed the instructions in Pub 590 on http://www.irs.gov. The part about calculating the earnings on the excess portion seems a little loose, but I just documented my rationale and crossed my fingers. So far no love letters from the IRS. IMHO the paperwork was a hassle, and I’ll avoid this issue at all costs going forward. Since there aren’t restrictions on the number of contributions – only the $$$ – I’d recommend making a conservative contribution early in the year and fine-tuning it in 4Q. I’m the poster who asked nickel and there’s no way to ask for our paychecks to be delayed. We’re salaried workers with DH getting a signing bonus on December 5th every year for 4 years, counted as income because it’s company stock gifted, so depending on the stock we’re in trouble. Good thing, stock up 20%, bad thing, puts us on the bubble. The company won’t defer the paycheck, and I get paid once a month in advance, so my December 1st paycheck is for december. We already maxed out the 401k, but that’s the only deduction for MAGI. How do you calculate the earnings only on that portion of your Roth? And what if you make a mistake? I’ve had to deal with this for the past couple of years. The Roth limits are “modified adjusted gross income” (MAGI) limits, so the only way to fiddle them is by somehow deferring income and/or by maxing out something like a 401K. Tricks that drive up itemized deductions like prepaying property taxes won’t help since they don’t affect MAGI. We did it last year by getting my company to defer my last paycheck until January, by getting my wife’s December self-employment income deferred until Jan, and maxing out my 401K before the end of the year. If they’re “on the bubble”, they need to do some calculating right now – there’s still time to get under if they need to. Excess Roth contributions seem like a PITA to unwind to me. Specifically, how do you determine what the earnings are for your excess contribution? And won’t pulling this money out potentially increase your taxable income, which would therefore further decrease your allowed contribution? Now suppose you didn’t catch your excess contribution. Would the excess contribution just be eaten away at 6% per year until value of the excess contribution becomes zero? Does this impact the allowed contributions in any way? Ahhhhh!!!! Do you know where I can check actual allowed amount to contribute if you are in between 95-110?